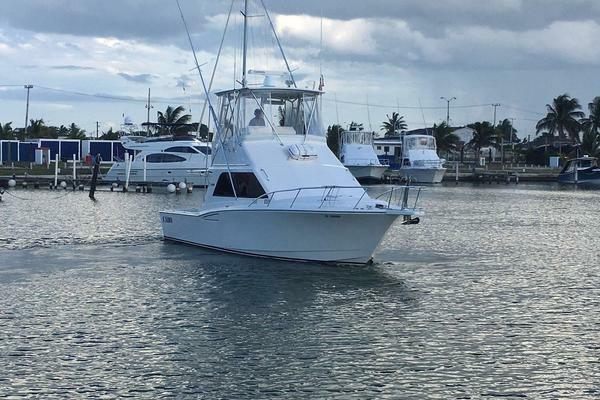 This 50' Bertram Sportfish is in good condition. She is powered with desirable MAN diesels. Nicely equipped with (2) generators, electronics, new enclosure, and davit, lots more. Seller is looking for an offer.Bottom Job Completed May 2017MOTIVATED SELLER- LOOKING FOR OFFERS! United Yacht Sales New Jersey would love to guide you through a personal showing of this 50' Bertram Convertible 1990. This yacht for sale is located in St. Augustine, Florida and priced at $149,900. For a showing please contact us by filling out the form on this page and we will get back to you shortly!